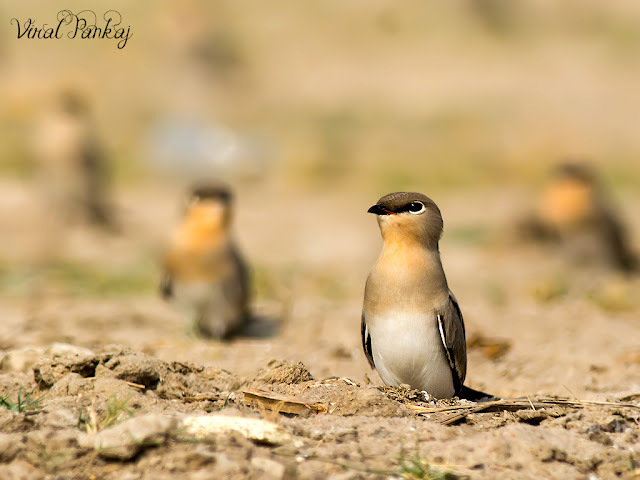 It is smallest Pratincole of three Pratincole seen in Gujarat. Before this we saw other two Pratincole but this one is missing from it. When we reach at Nalsarovar we saw there are 3 group of around 40 to 50 birds. They so small and tiny that it’s difficult to locate them. But finally they settle and we get some nice shot of this small cute birds.